First clean rose petals and wash them with water. Grind them in mixer to smooth paste. Take sugar and water in vessel and boil them together. When you boil them together, froth appears. Clean froth of sugar by adding little milk. Add rose petal paste and boil it till syrup becomes sticky. But it must not form thread. Turn off the flame and sieve. Add rose water, rose colour and sodium benzoit. Allow it to cool and fill them in bottles. 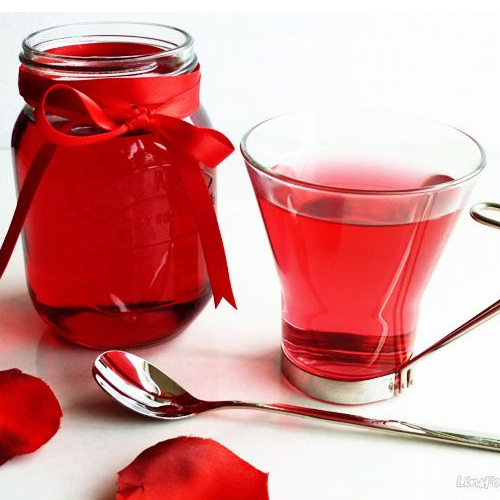 You can use this tasty Rose syrup for your sharbat, milk rose, lassi and other beverages.